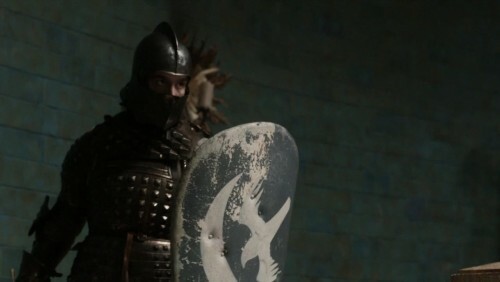 The captain of the guard at the Eyrie, Ser Vardis Egen has served House Arryn for years. His name is a famous one, his prowess unquestioned. He is perhaps in his late 40’s to early 50’s, and has perhaps grown somewhat stout in Lord Arryn’s service. The actor cast in the role does not seem stout, and certainly seems much younger, one of the few examples of a character being aged down rather than up in the series to date.